Why did I chose this title for the following video? For the reason that if Microsoft would make the features as accessible as Apple does, the users would use them and would know about the power of their products. However, simplicity for me means that the features are easy accessible which comes from a intuitive way of leading the user. As a consequence, if you have an iPhone in your hand you appreciate it straight away. 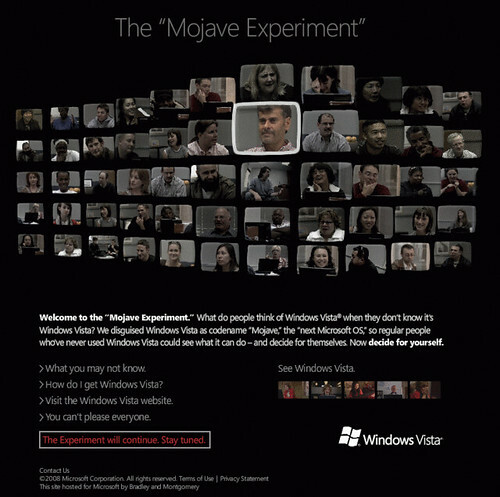 The following video shows an experiment where random people, which never have used Windows Vista, can have a look at the new Microsoft OS "Mojave" - which is in fact Windows Vista. They are excited about the features ;) Naturally, these are people which have never used Vista, but even people which have used Vista would be surprised about the features.